The Aotearoa Legalise Cannabis Party was founded in 1996 and is headquartered in Caversham, Dunedin. The party has never won representation in Parliament. It won 1.66% of the vote in the 1996 election but its support was declining until the party made a resurgence in 2008, almost doubling its vote. In the 1999 election it won 1.10% of the vote, in the 2002 election 0.64%, in the 2005 election 0.23%, and in the 2008 election 0.41%. One Green MP Metiria Turei and former Green MP Nandor Tanczos were ALCP candidates in 1996. The party's leader was Michael Appleby between 1996 and 2013 but he was replaced by Julian Crawford at the 2013 AGM. The party contested the by-election in Te Tai Hauauru in mid-2004, with their candidate, Dun Mihaka finishing second behind Maori Party Leader Tariana Turia, receiving 197 votes (2.52%). The ALCP mounted an aggressive campaign for the 2008 general election, with several high profile candidates including Steven Wilkinson (West Coast/Tasman) and Julian Crawford (Dunedin North). Crawford invited Dunedin South MP David Benson-Pope to join the Cannabis Party, but he declined, saying, "Their judgement has obviously been impaired by their recreational habits". In the 2008 New Zealand general election, ALCP secured itself 9515 votes, 0.41% of total party votes cast. This was more than Taito Philip Field's New Zealand Pacific Party, The Family Party, Libertarianz or the Alliance, but less than the Bill and Ben Party. In the 2011 New Zealand general election, there was a minor resurgence in the ALCP voter share, which rose to 0.52% (11,738 votes in all). This placed them behind the New Zealand National Party, New Zealand Labour Party, Green Party of Aotearoa New Zealand, New Zealand First, Maori Party, Mana Party and ACT New Zealand, all of which won electorate representation whether due to party lists and/or electorate seats. In addition, they polled behind the religious social conservative-backed Conservative Party of New Zealand, which polled 2.65% of total voter share, but won no electorate seats, unlike ACT New Zealand, United Future New Zealand and the Maori Party and Mana Party, all of which won a single constituency seat apiece. However, United Future New Zealand only won 0.60% total voter share (13,433 votes in all), which was only slightly above ALCP's voter share. In the 2014 New Zealand general election, the ALCP's voter share was a disappointing 8,539 votes prior to specials being counted, or 0.41% of votes cast. Dakta Green stood for the ALCP in the Mount Albert by-election on 13 June 2009. He came sixth in the seat, outpolled by Labour, National, the Greens and ACT, as well as the Bill and Ben Party co-leader, Ben Boyce (151 votes). Green polled 92 votes, which meant that he just outpolled The Kiwi Party's Simmone Dyer (91 votes). Green also outpolled United Future New Zealand's Judy Turner (89 votes) and Libertarianz's Julian Pistorius (35 votes). In the Mana by-election, Julian Crawford stood for the ALCP. He came sixth in the seat, outpolled by Labour, National, the Greens, Independent candidate and trade unionist Matt McCarten and ACT. However, Crawford only trailed ACT candidate Colin Du Plessis by twenty four votes (136-112) when the official results were announced. The Cannabis Party outpolled Libertarianz and the Alliance candidates, however, who came seventh and eighth, respectively. In the Te Tai Tokerau by-election, 2011, Maki Herbert stood for the ALCP. She came fourth in the seat, outpolled by Mana Party leader Hone Harawira, Labour List MP Kelvin Davis and Maori Party candidate Tipene Solomon. Herbert outpolled Kelvyn Alp, formerly of the Direct Democracy Party. In November 2013, former New Zealand Labour Party MP for Christchurch East Lianne Dalziel vacated her former constituency seat after becoming Mayor of Christchurch. As a consequence, there was a by-election, won by Poto Williams, the Labour candidate. 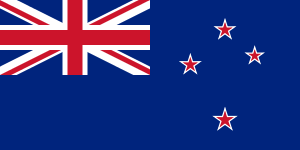 The New Zealand National Party came second, the Green Party of Aotearoa New Zealand came third, the Conservative Party of New Zealand took fourth place, an Independent candidate took fifth position, while the ALCP polled 59 voters, beating ACT New Zealand to sixth place, narrowly in front of the latter, with 58 votes. ↑ "Change of party name and registration of a substitute logo – Aotearoa Legalise Cannabis Party". New Zealand Electoral Commission. 16 February 2016. Retrieved 29 February 2016. 1 2 "Official Count Results -- Overall Status". Electoral Commission. Retrieved 7 August 2013. ↑ "Candidate for cannabis party". Otago Daily Times. 18 June 2008. Retrieved 3 November 2011. ↑ Mackenzie, Dene (12 June 2008). "Party makes MP offer he can refuse". Otago Daily Times. Retrieved 3 November 2011. ↑ "Official Count Results -- Overall Status". New Zealand Ministry of Justice. 2008. Retrieved 26 September 2011. ↑ "Archived copy". Archived from the original on 20 July 2011. Retrieved 2011-06-29. ↑ "Ikaroa-Rāwhiti By-election Candidates Announced". Elections New Zealand. Retrieved 5 June 2013. ↑ "Archived copy". Archived from the original on 3 July 2013. Retrieved 2013-07-08.